It seems crazy now for anything other than a budget handset to release without 4G LTE, but back in 2012 the lack of 4G on most models of the Samsung Ativ S was only a minor point against it. Now the Ativ S has the same problems any other aging smartphone does, including outdated software - but that's about to change, at least in certain regions. 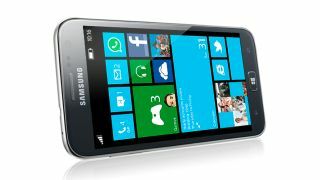 The Ativ S was a relatively early Windows Phone 8 device, and soon some versions of it will be upgraded to Windows Phone 8.1. Rumors that the Ativ S would be updated began over a week ago, reports Windows Central, but it turns out the update is only going to "a very select few" devices. Namely unlocked Ativ S smartphones in regions including Austria and possible Hong Kong are getting Windows Phone 8.1. There may be ways to downgrade your phone's firmware and switch its region, but in general those aren't recommended. The rest of us will just have to wait, it seems.